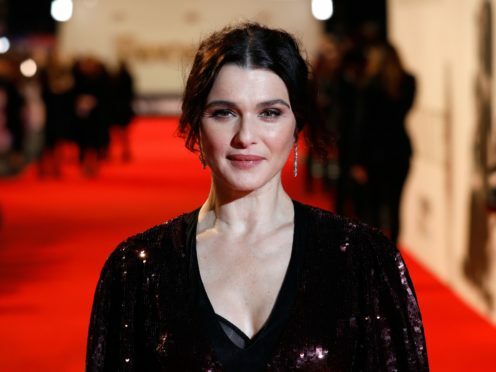 Rachel Weisz has said it is still difficult for both male and female actors to find well-written and complex storytelling. The Oscar winner, who will next be seen in The Favourite with Olivia Colman and Emma Stone, said it is particularly unusual to find multiple good parts for women in one script. She told the Press Association: “At this present time in cinema and storytelling, it’s sadly quite unusual I think, for all three characters – that all three women, are so textured and layered and complex and have such different aspects to their character. Discussing the quality of scripts she receives, she said: “I think things are improving. “Films in the 40s and 50s, they always had very complex strong women who could be vulnerable and villainous and regal and kind and all the adjectives that you could list. “At the moment there is good writing for women, but I think if a man were sitting here he would say it’s hard to find good, complex writing even for men so I think fiction for humans is maybe not as interesting as it could be in cinema. Weisz plays Lady Marlborough in the black comedy, opposite Colman in the role of Queen Anne, and described the Broadchurch star as “an astounding talent and one of the loveliest human beings”. She added: “She’s so down to earth and she’s so generous and so kind, she’s incredibly funny, she makes me laugh so hard that I will sometimes be crying with laughter in between takes. The Favourite is released in UK cinemas on January 1.